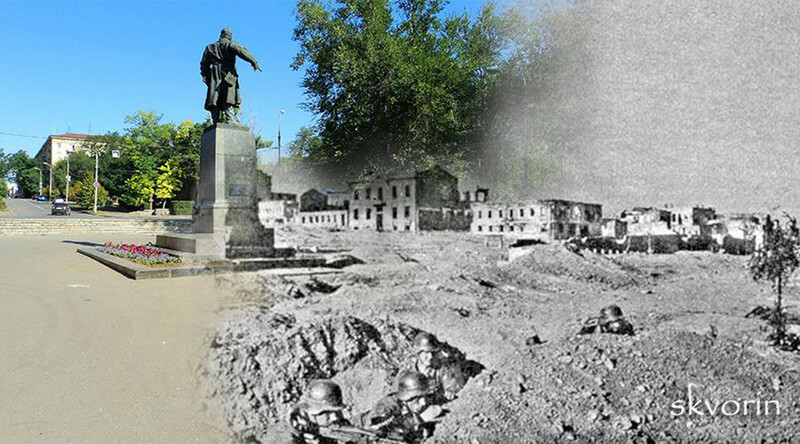 A Russian photographer has created a gallery of unique images, combining photos from the battle of Stalingrad and photos of the same locations 74 years later, as a reminder of the bloodiest confrontation of World War II. 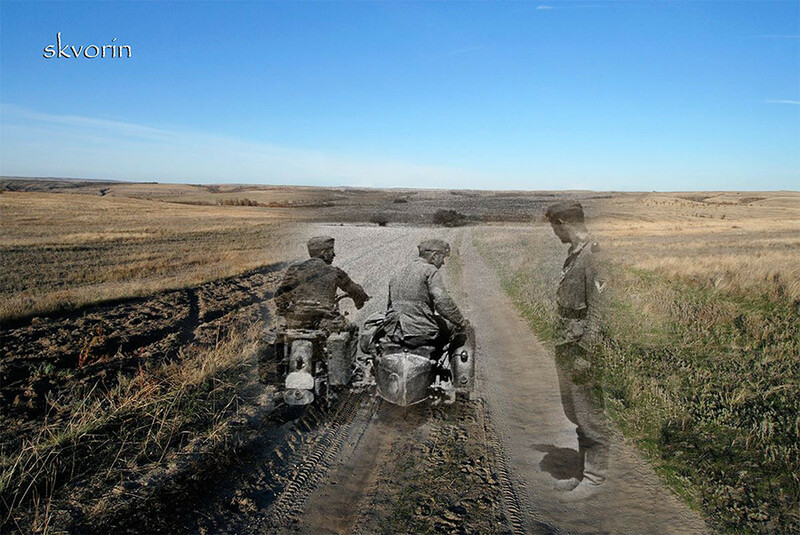 Aleksandr Skvorin has been searching Volgograd (former Stalingrad) and the surrounding steppe for the exact spots where photographs were taken in 1942 and 1943, and combined them with images of modern life in times of peace, taken from the same spots. 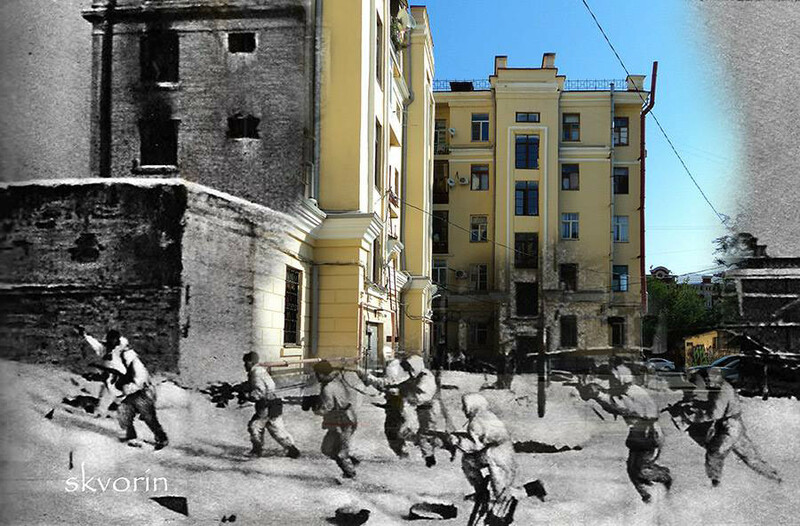 The Volgograd photographer told V1 website that he has been fascinated by the historic battle since his years in high school. 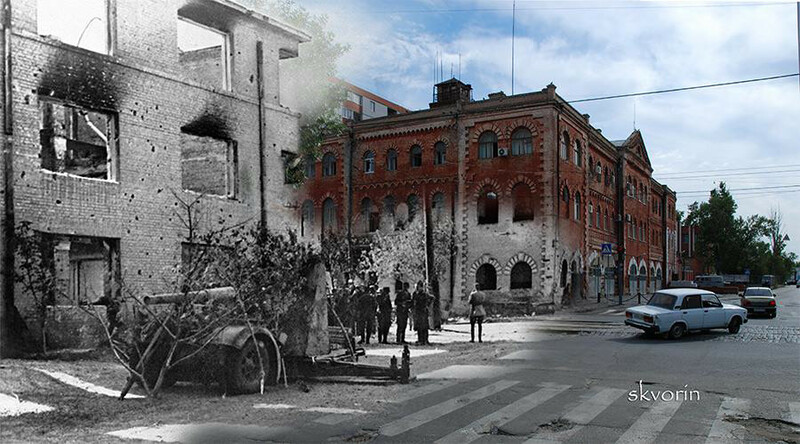 He began by poring over Russian books on the topic, and then switched to the works of authors from Germany and other countries, coming across many historical photos taken in Stalingrad. “I always had an understanding that massive events, which changed the course of the human history, happened right outside my front door,” Skvorin said. “It’s amazing. You can read a book then jump into your car and drive the same streets, with the same buildings, which were witnesses to those events,” he added. The photographer said that sometimes he had to drive hundreds of kilometers to find the place where a certain picture was taken. But there were “many hints” that helped him in his work, as “the steppe is still riddled with lines of trenches and dugouts” left after half a year of intense fighting. 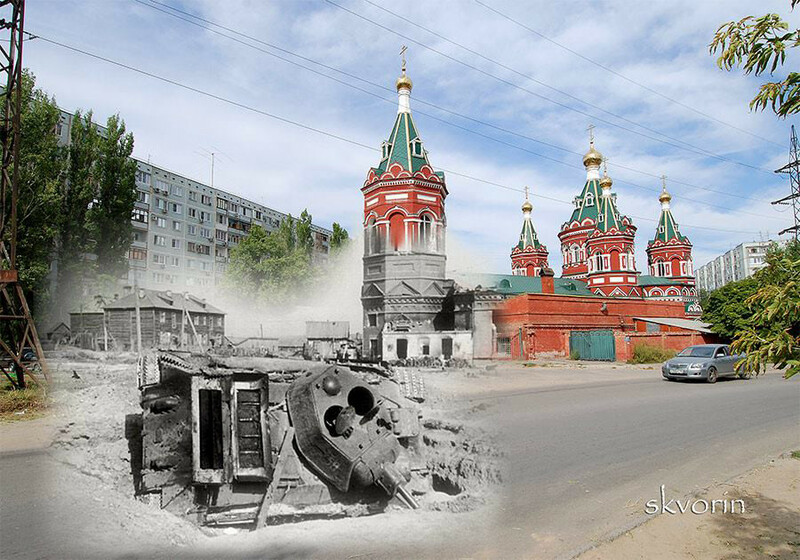 Stalingrad saw the bloodiest confrontation of World War II, claiming over two million lives between August 1942 and February 1943. 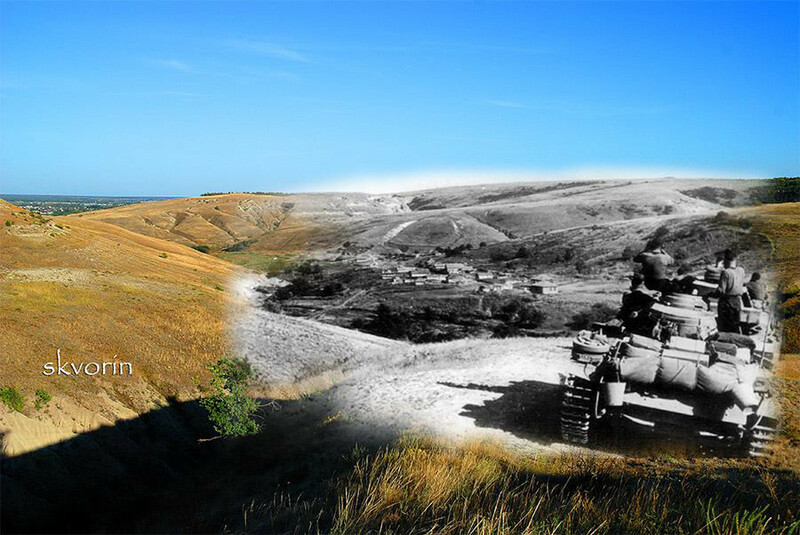 By September, the fighting in the steppe was over, as the Nazis forced the Soviets to retreat into the city of Stalingrad itself. Street fighting was fierce. Every building became a bloody battleground, and the average life expectancy of a soldier was about 24 hours. Despite mounting casualties, neither side was willing to back down, with both Hitler and Stalin sending more reinforcements to the front-line. 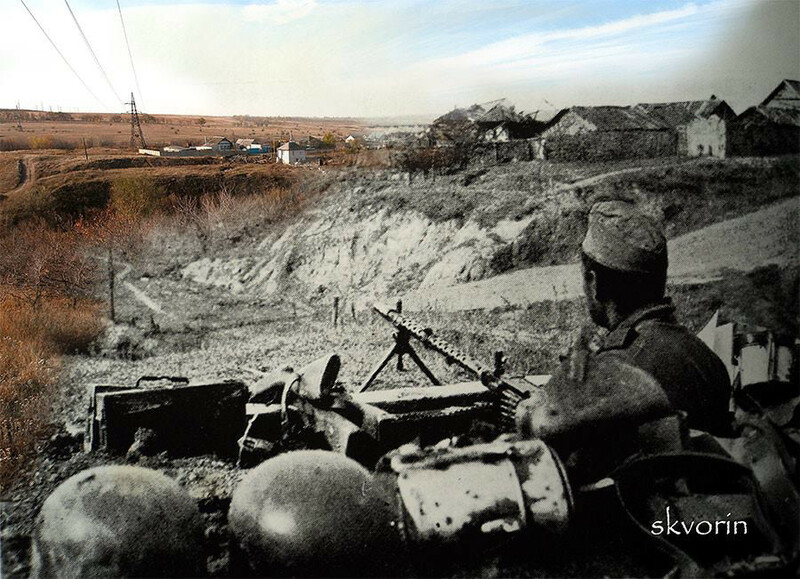 By mid-November, the Nazis had most of Stalingrad under their control, but left their flanks exposed. 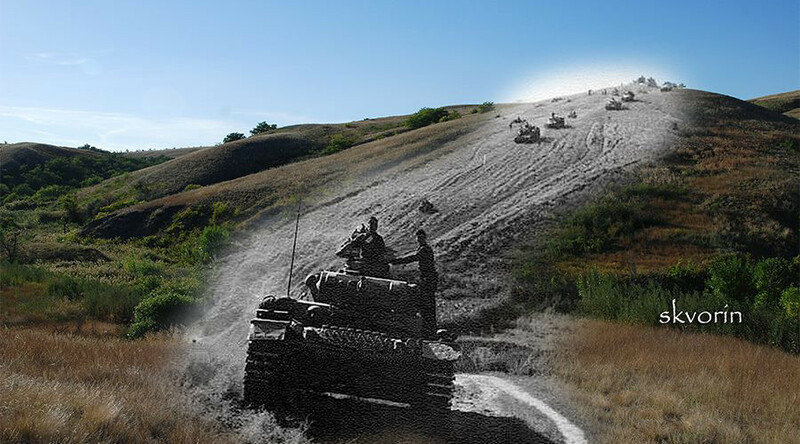 The Red Army seized the opportunity to start a counter-offensive, which eventually allowed it to surround the Nazis and cut off their supply routes. The battle, in which the city of Stalingrad was reduced to rubble, ended the Nazi offensive on the Eastern Front and signaled a turning point in the conflict.